The S&P and Dow just posted the best month since January, but Todd Gordon of TradingAnalysis.com isn't celebrating. "I think it's time to look at the possibility that we may be forming a near- to medium-term top," he said Tuesday on CNBC's "Trading Nation." 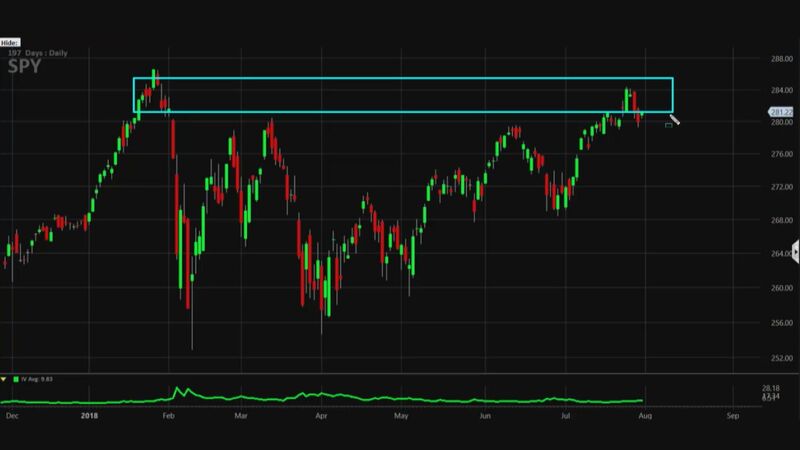 Gordon believes that the S&P 500-tracking ETF SPY could be forming a "potential double top" based on the charts as the SPY sits near its February high. Looking at a shorter-term chart of SPY, Gordon points out that an Elliott Wave pattern had formed showing a steeper fall each time, which he believes is a sign that "sellers are starting to get a bit more aggressive." As a result, Gordon wants to buy the August monthly 280 put and sell the August monthly 275 put for 95 cents total. If SPY closes below 275 on the Aug. 17 expiration, then Gordon could make $405 on the trade. If SPY closes above $280 on that date, Gordon would lose the $95 per options spread he paid for the trade. 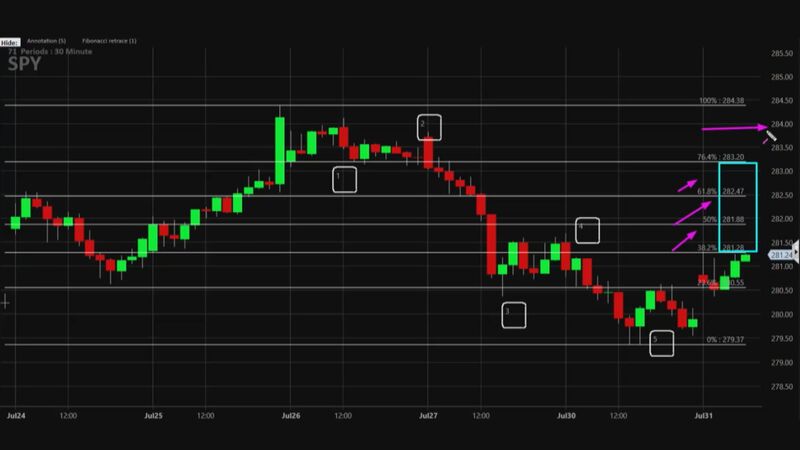 The trade: Gordon is suggesting buying the August monthly 280/275 put spread in SPY for about $95 per options spread. Bottom line: Gordon sees SPY falling below $275 on August 17th expiration.